Let’s hop right into this brand new single, “Tell ‘Em” — Tell me about this particular composition? How did it actually come to fruition? 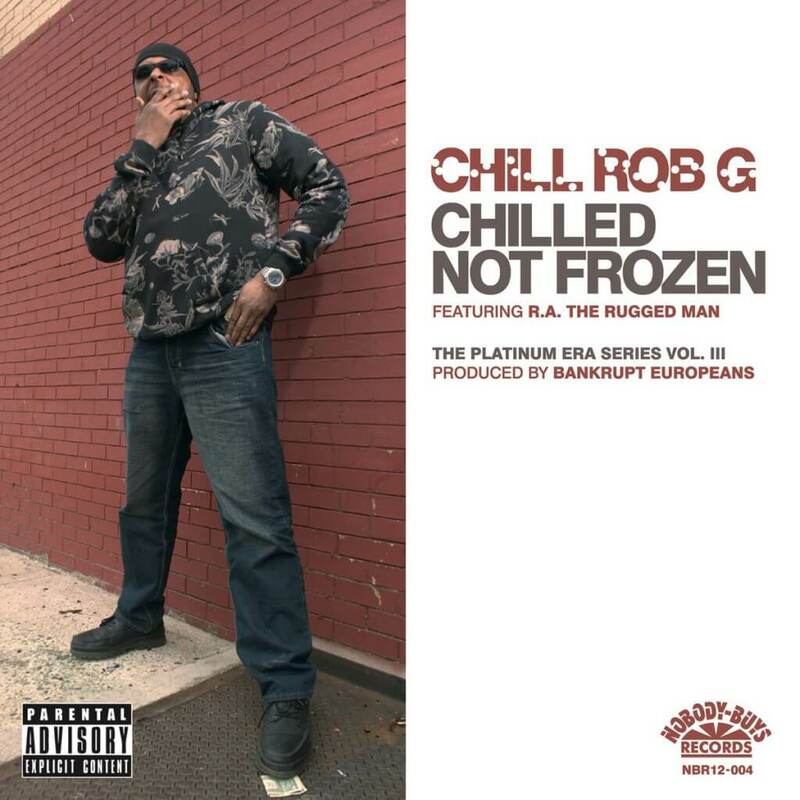 It started as a 16 bar verse; just another track to add to my EP, ‘Chilled Not Frozen’ – for sale now at iTunes and Amazon – I was gonna leave it like that, then later decided to do one more verse. Shout out to Snafu Bankrupt Euros! During the process of recording, I sent it to R.A. (and) asked him if he wanted to be on it…It’s not like I would’ve sent it to just anyone. We’re both old school catz; he’s German, I’m from Jersey – both dope for different reasons – so It was a good look for me that he was willing to do it. For it, of course, you teamed up with the aforementioned R.A. the Rugged Man — How did this collabo come about? I met R.A. through my man who showed me a YouTube video one day, all he said was check this out and it was a joint R.A. was on called “The Renaissance”; he murdered it! I remember hearin’ about this crazy dude back in the day, but never heard him rhyme till like ’08, and he goes in. Sonically, how does “Tell ‘Em” measure up to other Chill Rob G offerings? I like it. it’s in there with the rest of my stuff; sounds like classic Chill Rob G! To me, more of what I started like 20 years ago. I am only going forward, so I don’t think I can compare the two eras, plus it’s me; its hard for me to critique my stuff. “Tell ‘Em” comes courtesy of your third solo project, ‘Chilled Not Frozen’ — Conceptually, what does this title represent both to and for you? It’s an EP, extended playing, not long playing LP. “I might be Chilled, but I’m not Frozen,” is a line from “Future Shock” from my first album [‘Ride the Rhythm‘]. It came to me while I was watching a James Bond movie; you know the one where he says he likes his martinis “shaken, not stirred?” Somehow my brain turned that into “Chilled not frozen.” As an artist, you’re constantly reaffirming your relevance even when it’s not necessary, even when you’re not trying. So, this line from my first album seems more appropriate now than back when I first said it. How does the new material either differ and/or compare to previous Chill Rob G efforts? I’ll let the people decide. 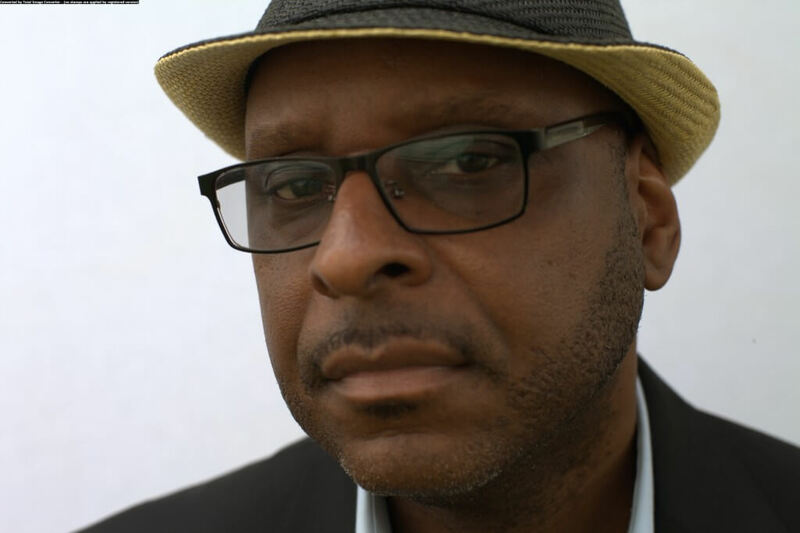 I have to admit, when I was 19-20 I was very focused on rhyme patterns, schemes and lyrical swiftness, and I was way more conscious of my voice back then; I wanted to sound like Chuck D, like Kool Moe Dee…Like if James Earl Jones was gonna be a rapper; I was trying to be the Darth Chill! That’s when I wrote ‘Ride the Rhythm.’ So, yeah, I definitely like the stuff I write these days. Also, I think I have added to my abilities, and when it comes to recording I like to blaze time in the booth and be out. What was it – specifically – about now in 2015 that prompted you to return to form [music]? I never stopped writing rhymes and every so often I would record something just to get the voices out of my head. They say stuff like, “You know you’re better than that clown,” or “You ain’t got it no more, you fell off!” I was being harassed by my own ego. Plus, the streets would not let me forget. At least once month, a stranger would say something like, “Chill Rob G, why’d you stop, what happened?” So for people, it looks like I came back to music…For me, it’s just another day. With that being said, how has not only the industry itself, but even more-so you, specifically, either changed and/or evolved since your whole inception into music? I have grown and matured since my early stuff; that is definitely a good thing. I once thought nothing was more important than music, but now I see life differently. I was a young and naive kid when I signed my first contract, but I am astute. …One huge difference in the business is today the artist has full control of his craft, you don’t need a label; you can Macklemore like a mafuc! He pays a percentage to use Warner Bros.’ radio promotion department to push his singles; that’s a good deal if you can get it. In having said that, what all had/have you been up to, both personally and professionally speaking, during your lengthy musical hiatus? Just living life like everybody else; doin’ what I gotta when I gotta, doin’ what I want when I can. Have my own label. I have a few projects I’m tryin to get out. I have an income. My son is grown now, going to college. He’s a very good singer. Maybe one day I can get him on a track. We’ve had a rocky relationship, but we’re working on it. I’m just out here, man. Reflecting, how did you first discover your musical talent? My grandparents raised me, and it was church all day! Lotta drums playin’ and tambourines and foot stompin’ and live piano and live organ and people dancin’ and shoutin’, for as far back as I can remember. Grandmother thought that would save me from the streets. The more she tried to shelter me, the more I wanted to know what the big deal was outside. I was in the children’s choir, started making up my own songs…I was in every event they had at Gospel Temple. If there was a play, I was in it…Fashion show, I was in it. Every Easter, the kids had to learn a poem and say it in front of the congregation; maybe that helped me learn lyrics quickly. In school, it was the same thing; school plays or events where they needed student participation, I ended up in it. That was grammar school. When I started high school, that’s when Hip Hop got my attention. And, I focused on rhyming. Who have been your greatest inspirations musically and why? I like Jazz and classic Rock and some Metal. I gain inspiration from any artist that you can feel expressing his or her truth. To be more specific, people like Marvin Gaye, Jill Scott, The Temptations, Isaac Hayes…These people did a lot of party music and jams, but they had that real life commentary in there also and I liked those records the most. As far as rappers, almost all the dudes that came before me have inspired me in some way. Lot of guys that came after me are dope, too. My biggest inspiration to make records came from the wackest MC I ever heard; he was so terrible I had to make my own record so he could hear it and learn something. Ironically, I ended up on his label and he got dropped. Mission accomplished! How then would you describe and/or define the style of music that you create and perform? I wouldn’t describe it. I am somewhat proud of the fact that I never painted myself into any corner. I just rhyme about all of that. A song or two can be classified, but not the artist. I can still move in any direction without warning. Longevity, what do you attribute yours to? I constantly switch up flows – sometimes on the same track – ’cause that’s just what I feel in that moment. When you hear what I’m talking about, it feels like it pertains to you in some way so that makes it engaging. I guess I just consistently update my style according to the track, but it’s still coming from me so it has my signature. I don’t even know, man…I’m glad I can do what I’m doing. Me my perspective; my 2 cents, my music…Comes with a pretty interesting story – cut the check – I’m here to share it. Have you encountered any problems in getting to this point in your career? And, what do you want people to get from your music? Life is what it is. I killed some and I was killed (by) some. …I see myself at a point in history where just about anybody can be a celebrity for any number of reasons, not necessarily pertaining to talent. I’m not trying to be that interesting. I need that dope music to be the thing I’m known for. On a more serious note, are you happy with the current state of Hip Hop? And, where exactly do you “fit in” when it comes to today’s current/trending sound-scape? I don’t have a problem with Hip Hop today. There is a variety of stuff to choose from; some people are better than others at different styles of whatever. …I’m not tryin to fit in. The goal is to stand, out so hopefully I’m not just another mafucka like the other mafucka, you know!? I like to keep it lively; I like those records that make you move, but I really dig that bob-your-head type slow joint, too. So, that’s what I try to do. I like entertainment, so outside of pursuing a career in law this is all I really ever was interested in. That, and travel. I don’t know…I guess the birth of my son was the greatest event in my life, but I don’t know if I’ve really done anything great…I mean truly great. Making records is fine; I can only hope to inspire someone to do something great. No matter how many trophies I get, it’s still just music. Hopefully, I can do some small act of greatness daily that can add up to having lived a great life. It’s what happens maybe as a result or what I do with my celebrity…Guess we’ll have to see. If you could collaborate with any one artist, living or dead, who would it be and why? Marvin Gaye, ’cause some of his stuff was just soooo dope! I know he could appreciate some real lyrics of the same ideas he sang about. Also, James Brown for the same reason. Thelonious Monk could definitely make some dope Hip Hop. If you could play any venue in the world, which one would you choose and why? I’d like to play at a sold out Giants Stadium, or MetLife Stadium as it’s called now, because that’s the business I’m in. You want to entertain the most people possible. I also know that I’d have reached a certain level if I perform a stadium gig and that one is mad close, so I wouldn’t need to travel far. “Court Is Now In Session” is a good example of the type of rap I do; three different flow styles, a brief story…It’s funky and you can dance to it. You might notice I mention in that record a problem that has continued to plague the black community since before I was born; that is the over policing of our neighborhoods. I made this song back in 1989; things have gotten way worse since then. What we see on the internet looks like an endless flow of black people killed for nothing. Men, women and children; it’s outrageous that these murderers get a brief vacation after the killing, then it’s back to it…Like just another day. Jaywalking, failure to signal, missing front license, running a red light, playing in the park, shopping in a department store and the list of petty offenses goes on. These are the most extreme, not even counting the people that just get harassed and not killed. Just rights taken away for a couple of hours on the side of the road. It’s crazy! This society we live in is deadly violent and the police are a huge part of that. They tend to escalate situations that could be peacefully dealt with…At least that’s what I see in these videos. 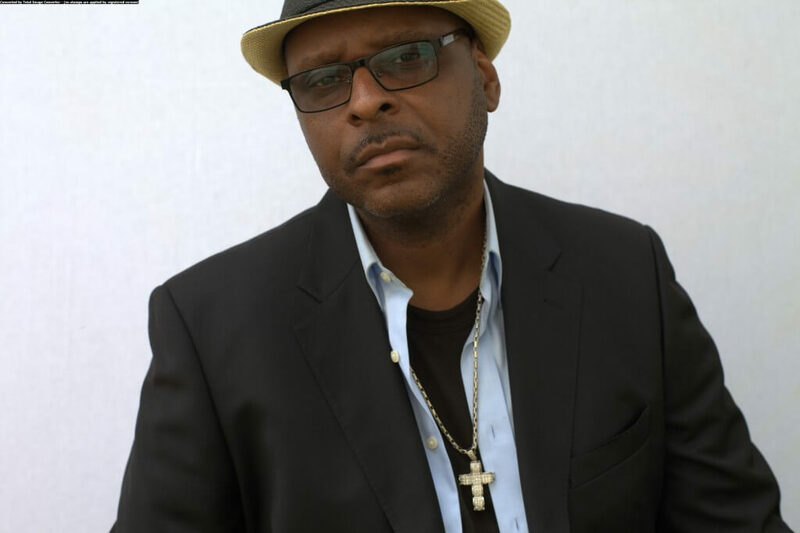 Lastly, as an original member of the Flavor Unit collective, alongside Lakim Shabazz, DJ Mark the 45 King and Queen Latifah, among others — Do you all still remain in touch? If so, is there any chance of a future reunion, either on stage and/or wax? I’m in touch with Mark the most…By the way, he hates that people call him DJ Mark the 45 King; it’s just the 45 King. We speak pretty often. I talk to Lakim and Double J here and there. We all grew up and guys are into their children and families, myself included. I haven’t heard from Latifah, but It’s all love as far as I know. She’s doing her thing; I’m proud of her. If there is a Flavor Unit reunion, I’m down! Stage, studio…Wherever they want me. Holla at me, let’s go! Any “closing” thought(s) for our readers? 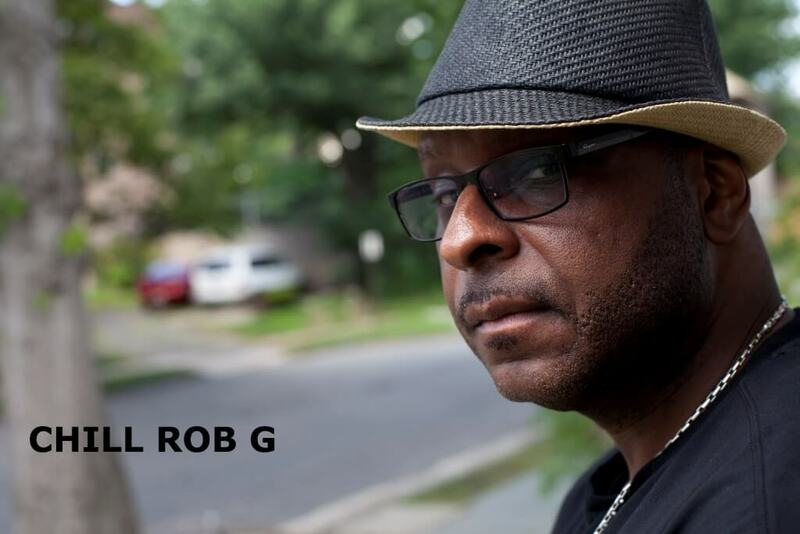 Support your boy Chill Rob G; I’m doing this for YOU people, and for money, power, respect, fame, fortune and glory! But, you will receive the best possible heat I can provide.